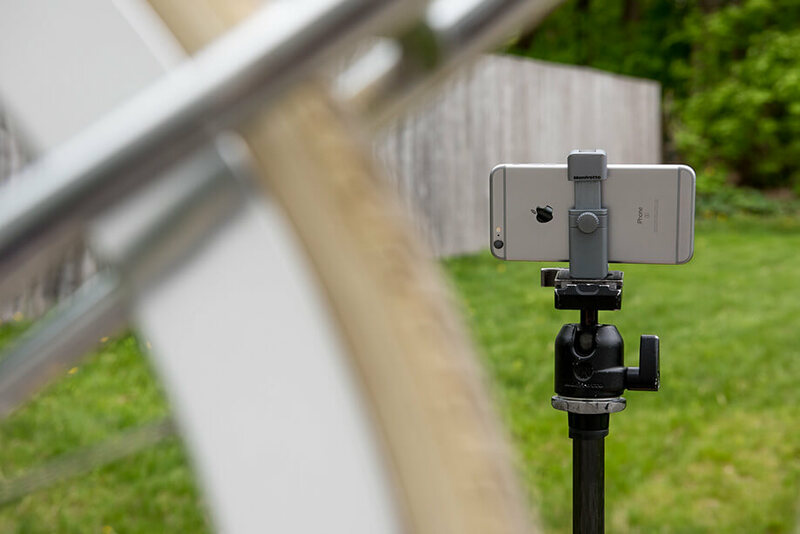 During my photography excursions, adventures and assignments, I’m finding that a smartphone is an increasingly important tool in my kit for capturing still images, video and time lapse footage. My DSLR and Mirrorless units are still the go-to camera bodies for ‘the shot,’ but there’s been an uptick in the amount of ‘behind the scenes’ footage needed from clients along with Time Lapse Photography. If I’m going to have a camera in hand and want to secure additional footage with a smartphone, I’ll need to a safe and secure way to mount this device. 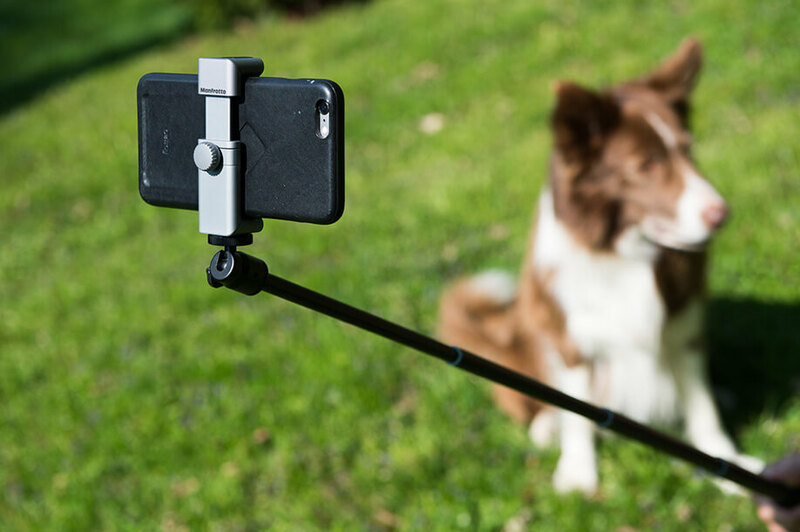 Lucky for us, Manfrotto has produced a clever mounting system called the TwistGrip, a tidy 3cm wide X 10.6 cm long tool that fits unseen in a pocket, bag or camera pack. This sleek and foldable accessory weighs in at a mere 2.8 ounces, bolstering an easy to use twist movement, while offering a cold shoe on the top and a ¼” thread on the bottom for quick mounting to an assortment of accessories. 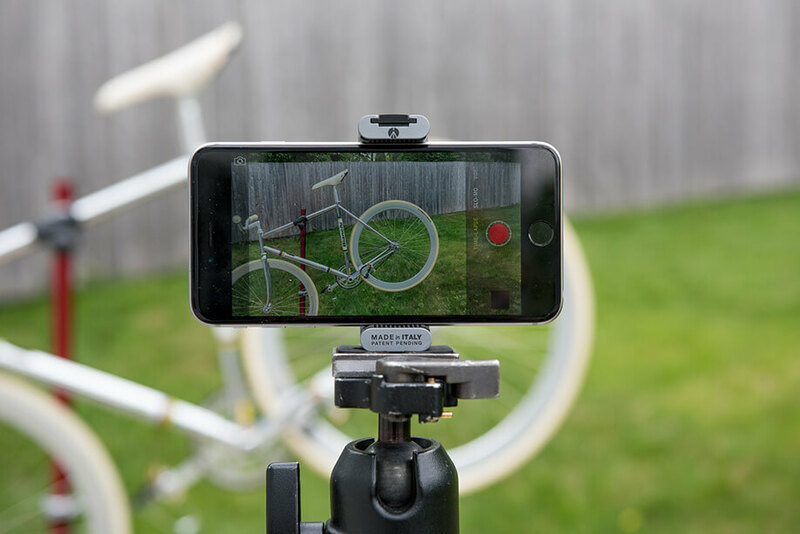 My initial testing of the TwistGrip was centered around capturing Time Lapse and Video Footage while taking care of pre-summer riding maintenance on a friend’s commuter bike. Looking on the underside of the TwistGrip, I located the ¼” thread that secures a Manfrotto Tripod Plate, next was placing the smartphone in the TwistGrip and securing it with the Lock Knob, then placing it on a Manfrotto 190cxPro3 tripod and moving into precise position with a Manfrotto 496 Ballhead. After that it was business as usual working on the bike, knowing my movements and actions were all being documented thanks to a convenient set up. 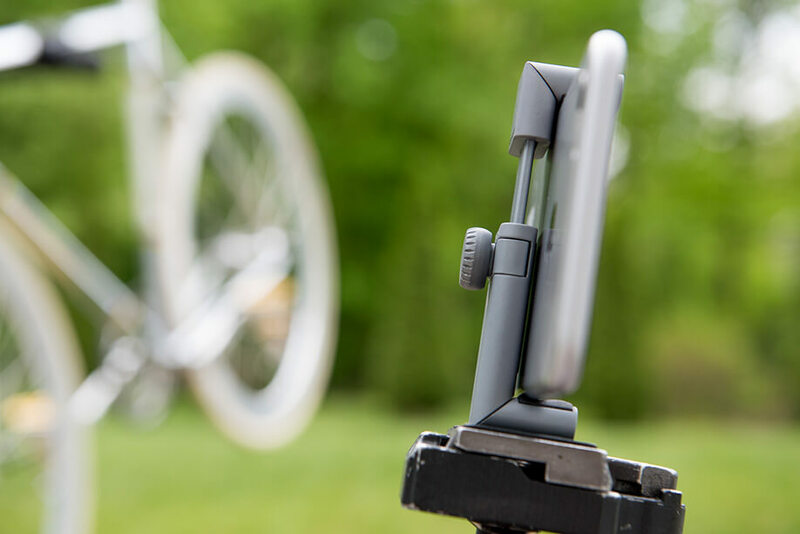 After taking care of bicycle business on the back deck, it was time for a ride, so we cut out to a local spot to capture a few riding photos and pop some time lapse clips of the action. 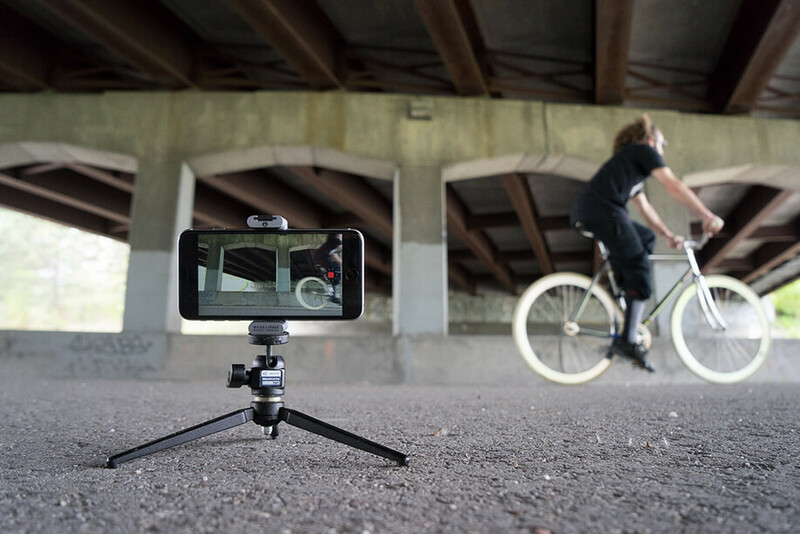 I chose a lower angle for the motion footage to bring out the wheels of the bike moving through the frame, combining that with the architecture of the overpass, and with the TwistGrip mounted to a Manfrotto tabletop tripod the task was handled with ease. 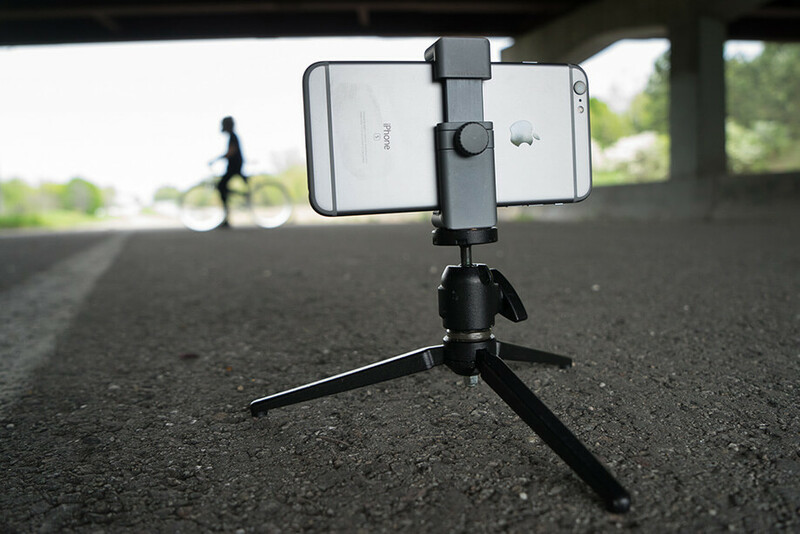 In preparing an image as such, I prefer to first attach the TwistGrip to the tripod, insert the smart phone and secure, then move the entire unit into position and fine tune the angle via the ballhead locking knob. In referencing the portability of the TwistGrip, my ‘kit’ for going out and capturing the riding photos was a mirrorless camera body, two lenses, a Smart Phone, Manfrotto Tabletop Tripod and the TwistGrip, all easily fitting into a shoulder bag. That’s a great kit if you ask me, lightweight and portable while having the ability to capture just about anything that comes your way. 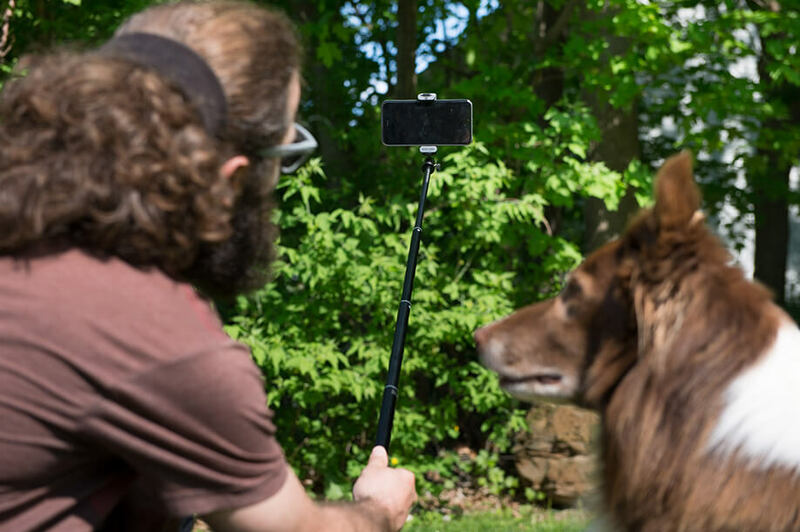 After our bicycle repair and ride in the morning, we went back out in the afternoon to check the ‘ease of use’ with the TwistGrip mounted to a selfie stick. My bike rider volunteer from earlier in the day was more than happy to bring his dog along and show us how simple the process is, which is merely mounting the TwistGrip using the ¼” thread on the underside and attaching to the stick. After that you can pluck away at video, photos and time lapses at will, then simply break down the unit and tuck away. After testing out the TwistGrip under the aforementioned situations, this handy, sleek little tool will now stay in my camera bag permanently, finding use in most of my photo shooting situations. Thank you Manfrotto! Dean Blotto Gray.